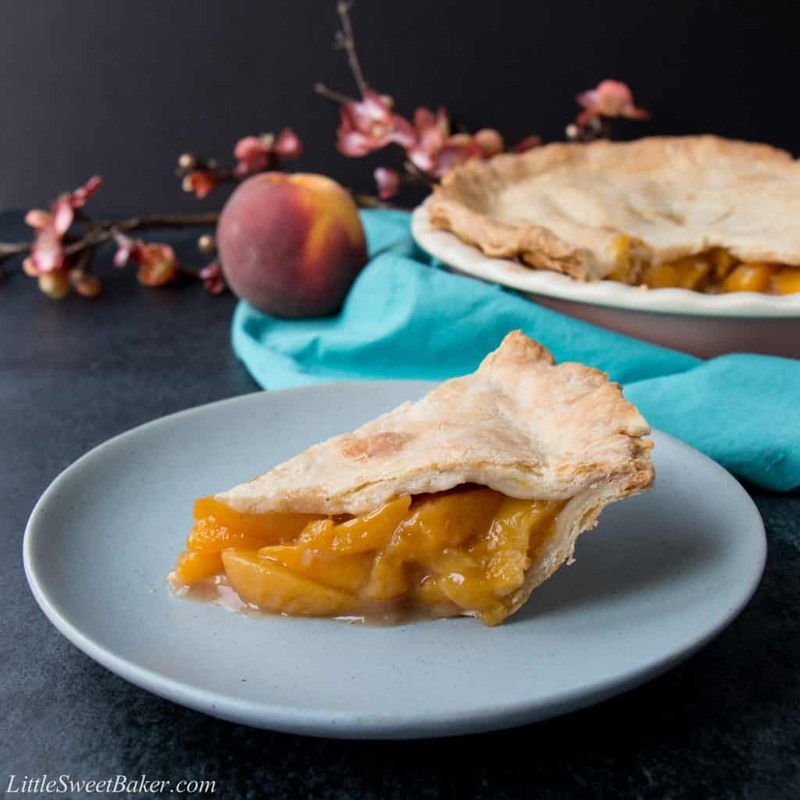 This perfect old-fashioned peach pie has a rich-buttery pie crust and a simple peach filling. 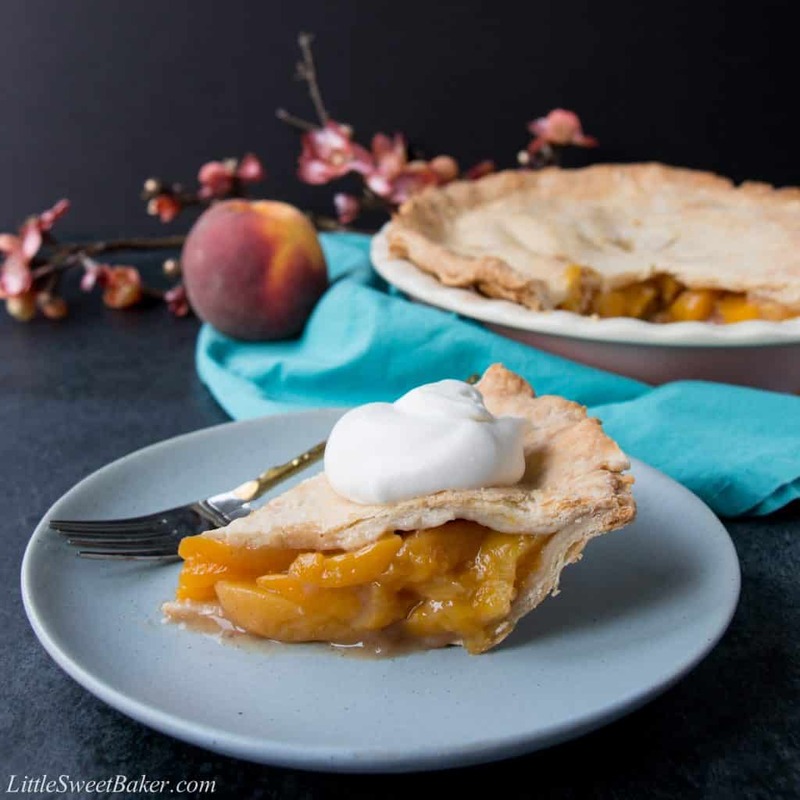 You can enjoy this easy peach pie all year round by using fresh or frozen peaches. We’ve had a fabulous peach season this year. I don’t know whether it’s because of all the rain we’ve had here in Ontario, but whatever the reason, the peaches this year were exceptional. So what better way to celebrate the end of a fabulous season than a peach pie. This recipe starts with my all-butter pie crust that’s only four ingredients and there is no refrigeration required. Then the filling is simply peaches, sugar, flour and a little bit of spice. For those of you who know me and are familiar with my recipes, then you know I like to keep things as simple as possible. I don’t like to fuss with anything that is not necessary. 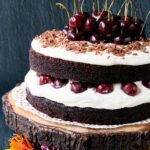 Life is too short to waste time and as much as I love baking, I prefer eating and spending time with my friends and family. 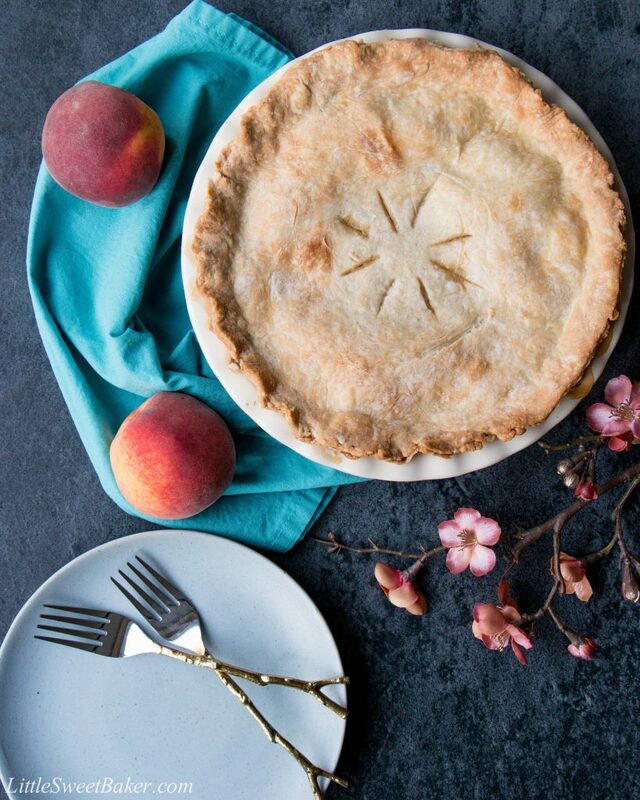 This classic peach pie showcases the beautiful fruit at its best. The filling is packed with silky peach slices in a luscious thick sauce of natural fruit juices. 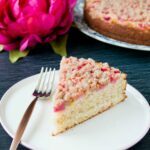 The taste is not too sweet and has a subtle hint of spice to highlight the fresh peach flavor. The crust is soft and flaky with a rich-buttery taste. 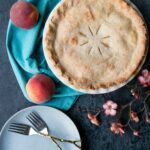 This perfect old-fashioned peach pie has a rich-buttery pie crust and a delicious peach filling. Pour in the melted butter, then milk and stir everything together. In a small bowl, toss together the sugar, flour and spices. Pour the mixture over the peaches and toss to coat. Spoon the peach mixture into the pie crust. Place the top crust over the filling. Trim the edges, press and crimp. Cut a few slits for ventilation. Bake at 425F for 15 minutes, then reduce the temp to 375F and bake for another 40 minutes or until the crust is golden and filling is bubbling. Cover the edges with foil if it starts to brown too quickly. Serve with vanilla ice cream or a dollop of whipped cream if desired. Leftovers can be stored in the fridge for up to 3 days.